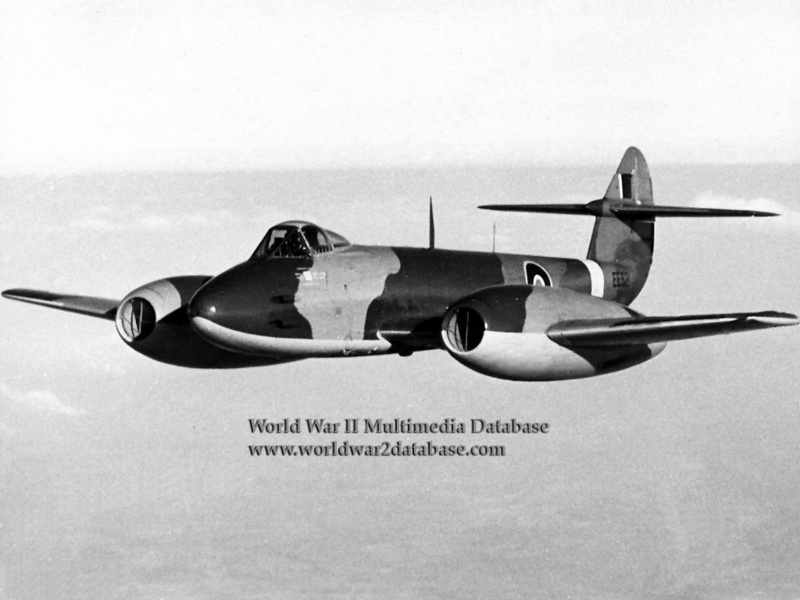 Gloster Meteor F.3 EE52 in flight. No. 616 Squadron RAF received the first Meteor F 3 on December 18, 1944. This was a substantial improvement over the Meteor F 1, but the basic design still had not reached its full potential. Wind tunnel and flight tests demonstrated that the original short nacelles that extended just before and behind the wing, contributed heavily to compressibility buffeting at high speed. New, longer nacelles not only cured some of the compressibility problems but added 120 km/h (75 mph) at altitude, even without upgraded powerplants. The last batch of Meteor F 3s featured the longer nacelles while other F 3s were retrofitted in the field with the new nacelles. The F 3 also had the new Rolls-Royce Derwent engines, increased fuel capacity, and a new larger, more strongly raked bubble canopy. On January 20, 1945, four Meteors were moved to Melsbrook in Belgium. In March, the entire squadron was moved to Gilze-Rijen and, then in April, to Nijmegen. The Meteors flew armed reconnaissance and ground attack operations without encountering any German jet fighters. By late April, the squadron was based at Fassberg, Germany and suffered its first losses when two pilots collided in poor visibility. The war ended with the Meteors having destroyed 46 German aircraft through ground attack and having faced more problems through misidentification as the Me 262 by Allied aircraft and flak than from the Luftwaffe.